“TAKODA Restaurant & Beer Garden Partners Ryan Seelbach and Jeff Sunderland are pleased to announce the early March, 2018 anticipated opening of CORTEZ, the 80-seat Baja-inspired restaurant and rooftop tequila bar located at 1905 9th Street, NW, Washington, DC, 20001. CORTEZ’s name is derived from the Sea of Cortez, which is located on the eastern coast of the Baja California Peninsula. 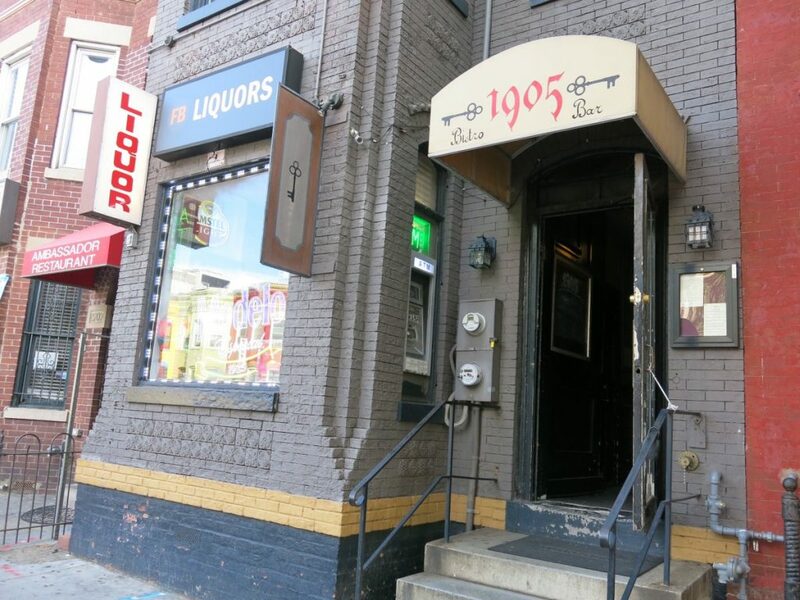 CORTEZ hopes to be a welcome addition to the lively Shaw and U Street neighborhoods. Guests can anticipate a creative take on lite Mexican fare, paired with the restaurant’s 30+ tequilas, 10+ rums, 15+ Latin-American beers, Mexican cocktails, and frozen cocktails. Ryan and Jeff are responsible for designing the 2,400-square-foot space. The colorful and eclectic design spans two levels, and will feature a rooftop tequila bar. Guests can anticipate creative takes on lite Mexican far with an emphasis on fish tacos and what’s in season. CORTEZ aims to have the very best fish tacos in all of Washington, D.C. Featured small plates include Elote Grilled Corn with Cotija Cheese, multiple varieties of Homemade Guacamole with freshly made Corn Tortilla Chips, Tortilla Soup, seasonal salads, and Baja Quesadillas. Entrée standouts include Grilled Swordfish Tacos, Fried Mahi Mahi Tacos, and Carnitas Pork Tacos. To end the meal on a sweet note, a collection of house-made desserts will also be available including Dark Mexican Chocolate Ice Cream. Prices range from $6 to $9 for small plates, $6 to $9 for salads, $12 to $22 for entrées, and $5 to $9 for desserts. The bar program at CORTEZ will offer 30+ tequilas, 10+ rums, 15+ Latin-American beers, Mexican cocktails, and frozen cocktails. Tequilas will include a wide range of Blanco’s, Reposado’s, and Anejo’s. Perennial favorites include Casa Dragones, Don Julio 1942, and Casa Noble. Prices for tequilas range from $8 to $23. Some of CORTEZ’s rum favorites include Deadhead 6-Year-Old and Ron Los Valientes 10-Year-Old. Prices for rums range $8 to $22. CORTEZ’s extensive Latin-American beer list includes Bohemia Golden Lager, Dos Equis Amber, Pacifico Mazatian, Corona Extra Lager, Negra Modelo, 21st Amendment El Sully Lager, Tecate, Victoria, and Breckenridge Agave Wheat. Prices for beers range from $7 to $10. CORTEZ’s cocktail offerings include its Paloma (tequila and grapefruit juice), Mojito, Michelada, Sangria, and soon-to-be famous Balandra Bowl (a reference to Balandra Beach, arguably the most beautiful beach in all of Baja). The Balandra Bowl is a cocktail made for two and filled with fresh fruit, Avion Silver Tequila, Blue Curacao, fresh squeezed lime juice, pineapple juice, and finished with a splash of club soda. In terms of frozen cocktails, guests should expect a Spicy Margarita, seasonal margaritas, and a Pina Colada. Prices for cocktails and frozen cocktails range from $10 to $13. Seelbach and Sunderland were inspired by their travels to Baja, Mexico and Southern California when creating the design for CORTEZ. The playful and airy space will offer brightly colored chairs, wood tables, exposed brick walls painted in white, mural designs by local artists, and amber-colored pendant lighting throughout. The roof deck, accented with cactuses and other potted plants throughout the level, will overlook 9th Street and features gas heaters, Baja wool blankets, umbrellas, and one of the best views in the city of the Washington Monument. These high-powered heaters, Baja wool blankets, and umbrellas will allow for year-round eating and drinking with an outdoor-inspired setting. On both floors, the vibrant, colorful design will provide patrons spacious room to socialize, while retaining the graceful proportions of the historic building. The 1922 brick structure, originally a townhouse, spans two levels. The main dining room will be situated on the second floor and will accommodate 30 guests seated with 10 additional seats at the bar. The rooftop tequila bar will also accommodate 30 seated guests with 10 additional seats at the bar. Both rooms will be available for full or partial buyouts, and can accommodate up to 80 seated, or 200 for a standing reception. Nickie Lou Went here once. It was pretty unimpressive.